Multi-Grammy® Award-winning and Golden Globe nominated singer/songwriter Chris Cornell released a new original song entitled “The Promise” today. Cornell wrote the song for the forthcoming feature film THE PROMISE starring Academy Award winning actor Christian Bale and Golden Globe winning actor Oscar Isaac. THE PROMISE is directed by Terry George and will be released in theatres on April 21, 2017 by Open Road Films. Cornell unveiled a lyric video for the song today which can be seen HERE and the song is now available at all streaming services and digital retailers. 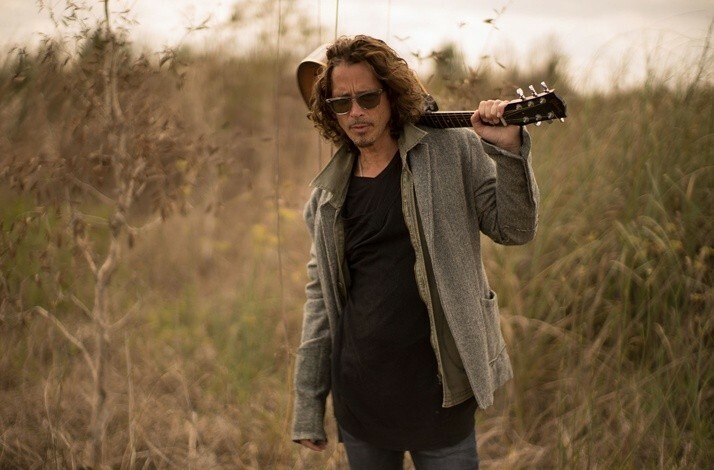 Cornell will donate his proceeds from the song to the International Rescue Committee. The International Rescue Committee responds to the world’s worst humanitarian crises, helping to restore health, safety, education, economic wellbeing, and power to people devastated by conflict and disaster. Cornell’s involvement in THE PROMISE stemmed from his close friendship with the film’s producer, Eric Esrailian. Having married into a Greek family, Cornell had been exposed for years to stories about similar treatment suffered by the Greeks at the hands of the Turkish-ruled Ottoman Empire. "If it’s something you or your family members went through, it’s something you’re faced with confronting on a daily basis,” said Cornell. Immersed in these stories and after further research, he was inspired by the strength and perseverance of those who were affected by these tragic events. Cornell aimed to help tell the story of the film, but also to connect it to the kind of brutality we still face today. Directed by Academy Award winning filmmaker Terry George (Hotel Rwanda, Reservation Road, The Shore), THE PROMISE takes place in 1914. As the Great War looms, the mighty Ottoman Empire is crumbling. Constantinople, the once vibrant, multicultural capital on the shores of the Bosporus, is about to be consumed by chaos. Michael Boghosian (Oscar Isaac), arrives in the cosmopolitan hub as a medial student determined to bring modern medicine back to Siroun, his ancestral village in Southern Turkey where Turkish Muslims and Armenian Christians have lived side by side for centuries. Photojournalist Chris Myers (Christian Bale) has come here only partly to cover geo-politics. He is mesmerized by his love for Ana (Charlotte le Bon), an Armenian artist he has accompanied from Paris after the sudden death of her father. When Michael meets Ana, their shared Armenian heritage sparks an attraction that explodes into a romantic rivalry between the two men. As the Turks form an alliance with Germany and the Empire turns violently against its own ethnic minorities, their conflicting passions must be deferred while they join forces to survive even as events threaten to overwhelm them. To watch the trailer for the film, click HERE and for more information on the film visit www.thepromise.movie. Chris Cornell is a modern innovator who transcends genre. He was the chief architect of the 90s grunge movement and remains one of the best voices of all time. Achieving multi-platinum success with three legendary bands - selling over 30 million records worldwide - he has forged his own unique identity over three decades as a Grammy award-winning, Golden Globe nominated singer, songwriter, guitarist, composer and lyricist. His soundtrack work has spanned both big budget and independent cinema. He was the first male American artist to write and perform the theme song for a James Bond movie (“You Know My Name” for Casino Royale). He wrote the end title song "Live to Rise" for The Avengers, the third highest grossing film of all time. He duetted with Joy Williams on his song “Misery Chain” which appeared on the soundtrack of the Oscar-winning 12 Years A Slave and his song “The Keeper” from Marc Forster’s Machine Gun Preacher was nominated for a Golden Globe in 2012. Cornell’s solo acoustic ‘Songbook’ tour attracted sellout crowds and critical acclaim worldwide. Jim Farber of the New York Daily News observed, “sometimes you don't recognize the full power of a voice until you strip everything away from it.” The tour’s reinterpretations of classic Cornell songs are featured on his 2011 live album of the same name. Cornell has also become involved in philanthropy; using music to support causes that help foster change. The Chris and Vicky Cornell Foundation is currently raising funds and partnering with charitable organizations to mobilize support for the most vulnerable children facing issues surrounding including homelessness, poverty, abuse and neglect.